Originally published December 9, 2009. Now a heartwarming tradition of bloggy goodness. Instapundit links to this item about the incredible shrinking Charlie Brown specials — warmly-remembered favorite scenes from the annual Peanut broadcasts being incrementally excised from annual broadcasts to make room for more and more commercials. And now, being today and all, all this can be confirmed by any diligent dork who takes the time to line up the store-bought DVD versions against the Hulu streams of the TV broadcasts. This last fact not only boggles the middle-aged mind as to how profoundly the world has changed for media. It also completely encompasses how and why, just as video killed the radio star, digital entertainment and its consumer-pleasing qualities spell doom for the mainstream media as we knew it. The once-Red-Baron-like power of Big Media over its customers increasingly looks much more like Snoopy hanging for dear life onto his bullet-riddled Sopwith Camel as it plummets into the marshes of rural Gaul. Being as famously narrow-minded as I am, LIKELIHOOD OF CONFUSION®‘s reaction on scanning these posts not only evoked bittersweet recollections of bygone December evenings on East 12th Street staying up “late” to watch “Charlie Brown” on the big (19″) black and white Zenith, but all kinds of IP questions as well. Wasn’t the can that Linus knocked off a Coke can? I don’t know about the other parts (and agree that if they cut them it’s a travesty). However I seem to recall reading that the can on the fence was cut a long time ago when Coca-Cola stopped sponsoring the special . . .
â˜… The main titles have Linus crashing into a Coca-Cola sign after Snoopy has spun both him and Charlie Brown around with Linus’ blanket. In the versions currently available, the viewer never sees where Linus’ trajectory lands him. â˜… In the “fence” scene, where several of the ”Peanuts” gang are attempting to knock cans off a fence with snowballs, Linus is seen knocking down a can with his blanket. In the original airing, this is a Coke can, but was later replaced with a nondescript can. â˜… The final end credit originally had text and graphics wishing the viewer a “Merry Christmas from the people in your town who bottle Coca-Cola.” This is why the “Hark!” chorus sung at the end trails off oddly before the song would normally end, as an announcer originally did a voice over this point in the credits to repeat and reemphasize the local bottler’s well wishes to the TV audience. Although the FCC eventually imposed sanctions preventing sponsor references in the context of a story (especially children’s programming), this had no effect upon the decision to impose these edits. 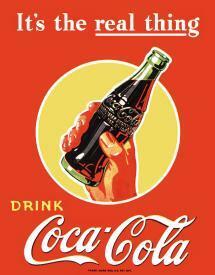 The Coca-Cola product placement elements were removed when the company ceased being the sole sponsor . . . While current FCC product placement rules would prevent restoration and broadcast TV airing, the sole reason this footage has not been restored for the DVD or VHS releases has been related to royalties that would have to be paid to The Coca-Cola Company for use of their trademarks. Wow, they had me going there for a minute. 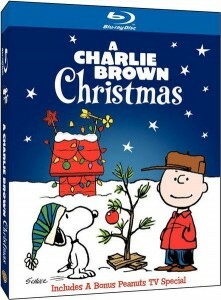 So clearly the version you can see on free TV today of “A Charlie Brown Christmas” isn’t quite The Real Thing. But what’s the upshot here? 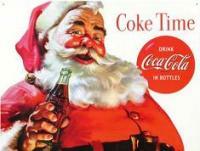 As the article points out, if hadn’t been for Coke, motivated by its evil capitalist designs on Mr. America’s tooth enamel, waistline and pancreas, and CBS, motivated by factors that to this day are not well understood by science, the then revolutionary, and ultimately wildly successful, institution of Charlie Brown TV “specials” might never have happened. As it was, at its debut broadcast in 1965 half the TV’s in the country tuned in to watch, and the program has warmed hearts, kept the rotten beasts quiet and sitting down for half and hour and resulted in a lot more economic stimulus than many things that go by the same name — notwithstanding our kvetching about what was cut from it later, and why — for just about my whole lifetime. So are we really so happy about the death of old-model media business models and the corporate patronage that made these beloved specials possible? Yes, we are. 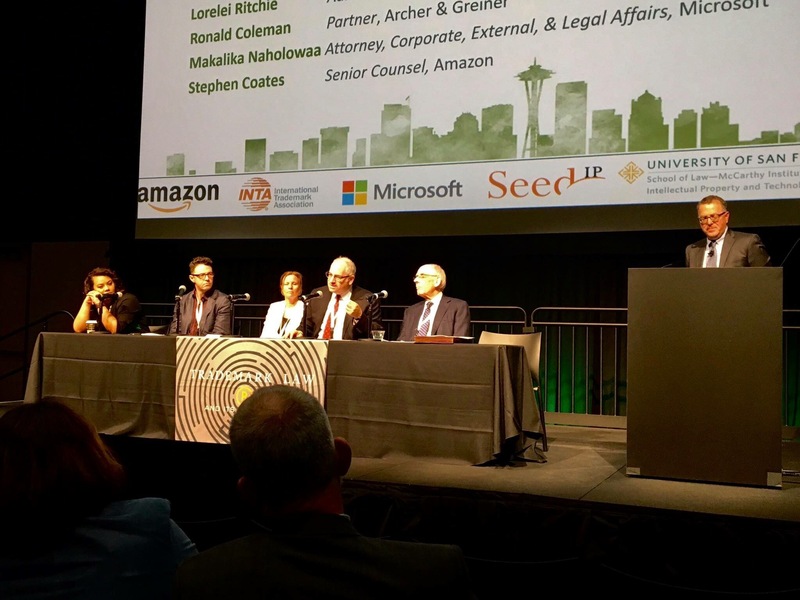 Those days are over, and a quick look at the back of any cereal box or soda-pop can in your pantry demonstrates just how much we can count on corporate America to lead, rather than follow, on popular culture. It’s not 1965, it’s 2009; Charlie Brown is not The Simpsons (or whatever you youngsters are watching these days); and it’s a real question whether Coke is even Coke any more. And Christmas… what about Christmas, Charlie Brown? According to the same Wikipedia article, and as told elsewhere, Schulz resisted CBS’s discomfort with having Linus actually read passages from Scripture in the program, arguing, “”If we don’t tell the true meaning of Christmas, who will?” Well, that is not for me to say. A man has to know his limitations.